Bring home photos of the auspicious trio of Goddess Laxmi, Lord Ganesh and Goddess Saraswati mounted on an exclusive LED lit photo frame, and get Read More..good luck and fortune. 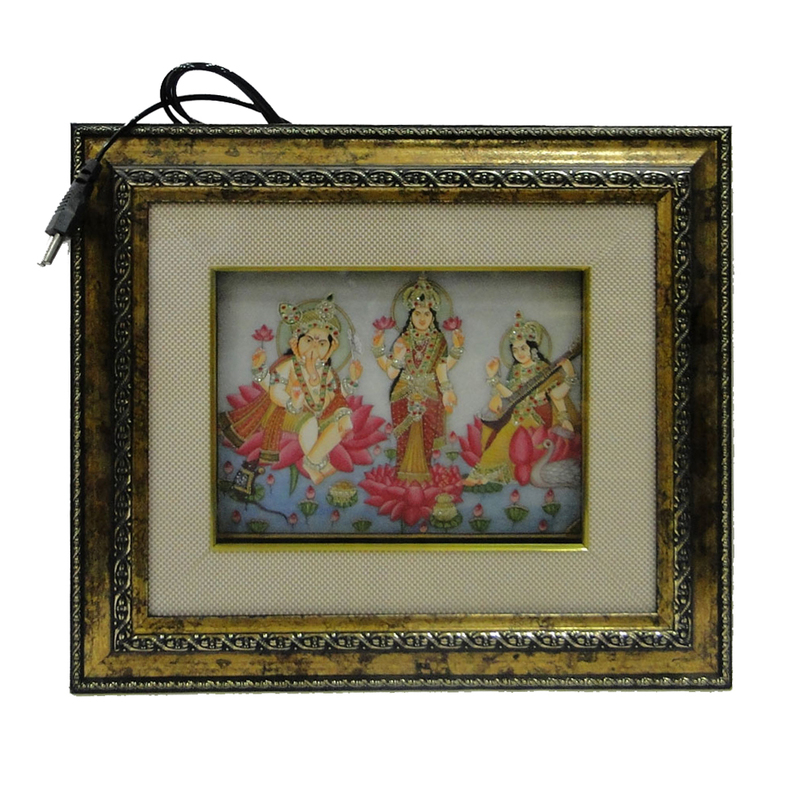 This is an elegant Laxmi Ganesh Saraswati photo mounted on a LED lit photo frame. It will also add to the décor of your home. Also gift this exclusive item to people you care about and win a place in their hearts. This will serve as a memento of your love and care. You should also get one for your own use. Show Less..